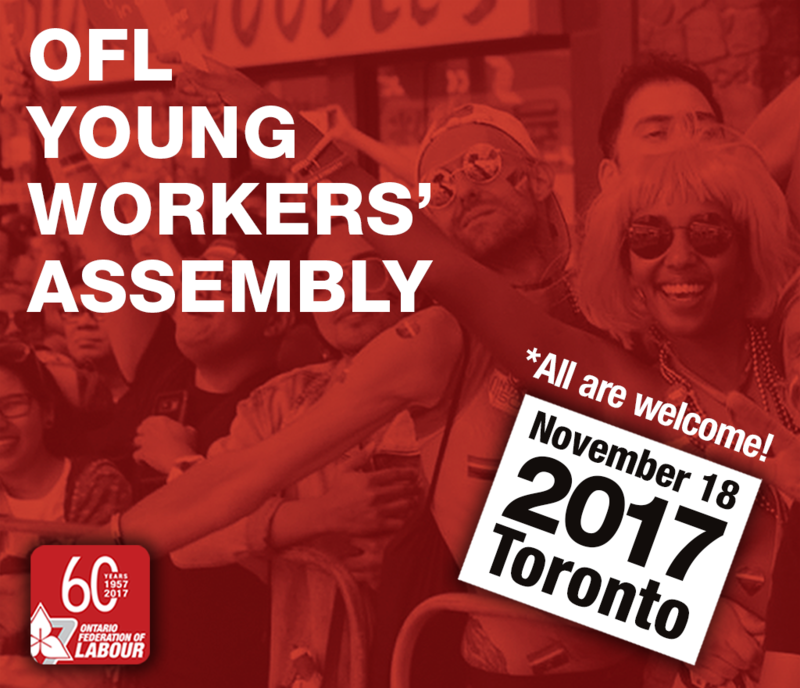 The OFL Young Workers’ Committee will be hosting the third Young Workers’ Assembly on November 18th, immediately preceding the OFL Convention. Join us at the OFL Young Workers’ Assembly on November 18, 2017. Young workers can lead the labour movement to create decent work and push back against hate. Don’t miss out on this opportunity to hear from young leaders and organizers charting a pathway toward a more inclusive and just world.